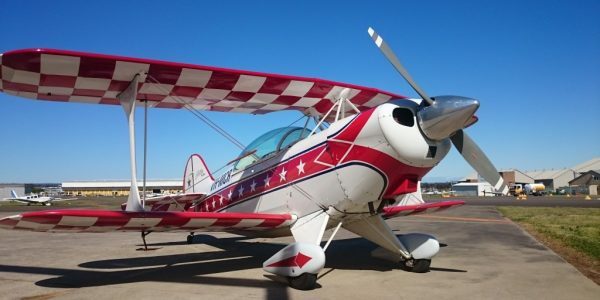 The Australian Aerobatic Academy is a CASA Part 141 flight training organisation dedicated to providing Sydney with high-quality primary flight training, aerobatic training, advanced handling and adrenaline-charged joy flights. The Academy’s mission is to provide our customers with the best possible flight training and customer service in a fun, friendly and supportive environment. Our team of highly skilled instructors and pilots are experienced and dedicated professionals who have qualified themselves beyond the minimum required standards to provide you with a higher level of skill. 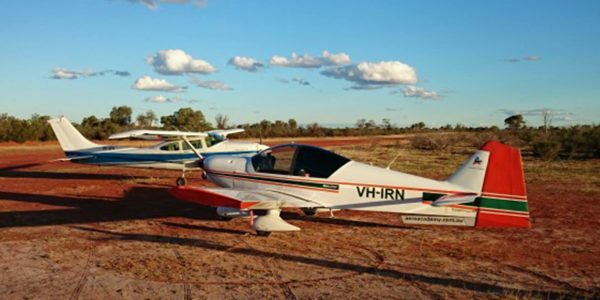 If you are looking to start your aviation journey, or continue an existing one, and you want high-quality flight training or the joy flight experience of a lifetime, look no further than the Australian Aerobatic Academy! For trainee pilots serious about safety and standards. Training safe, proficient pilots is a serious business, but that doesn’t mean you can’t have fun along the way! Not only will you loop and roll on your first lesson, during the course you will learn to take-off and land, to perform basic aerobatics, to spin and recover and to effectively recognise and respond to emergency situations. Learning these skills takes time, dedication and good instruction. Getting this process right the first time is essential when you learn to fly. Flying, like the sea, is unforgiving of the inattentive or foolish! 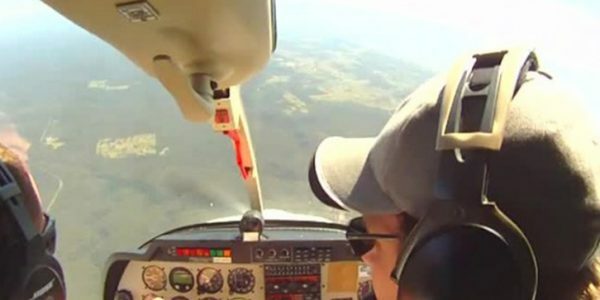 The Australian Aerobatic Academy’s Recreational Pilot Licence (RPL) syllabus is NOT a minimum time, minimum cost or minimum standard learn-to-fly course. It is a comprehensive course which goes beyond the minimum CASA requirements to provide you with superior aircraft handling skills. These skills will stay with you whether you choose to become the next Red Bull Air Race pilot, fly for the airlines, or enjoy taking your family and friends away for a weekend trip as a recreational pilot. To see just how much more you get for your money with a AAA RPL course, please look at this document: AAA RPL Syllabus Comparison. A pilot more confident and capable in the airborne environment has a greater capacity for good aeronautical decision-making, which means a safer, more proficient aviator. If your flight training is limited to the narrow envelope of the “air transport” environment, unnecessary limitations may be formed as well as an underlying fear of situations that cannot be adequately or safely explored in “standard” training aircraft incapable of basic aerobatic flight. When basic aerobatics, upset recovery and prevention and spin training is combined as an integral part of a learn-to-fly course, the result is a pilot fully aware of an aircraft’s capability in flight. This flight training method has been used for decades by defence forces worldwide – why should civilian pilots not also benefit from this style of training? IT WORKS! Don’t just take our word for it… Former Sydney Aerobatic School founder & CFI Noel Kruse, author of the “Fly Better” series of books, endorses the Academy’s training methods and standards in this document. Veteran US aerobatic pilot, airshow performer and flight instructor Patty Wagstaff has written a recent article on the benefits of the Academy’s style of training: Upset Recovery Vs. Aerobatics – Plane And Pilot Magazine. The Australian Aerobatic Academy prides itself on the standard of its instruction, as well as its personalised service and tuition. Academy instructors are experienced career instructors whose role is more of a “personal trainer” and “mentor” rather than a newly-qualified instructor trained to a minimum standard with limited operational experience. As we only employ a small number of dedicated individuals, we can guarantee the personalised service and consistency of training that larger organisations may not be able to provide. All RPL flying lessons are conducted in the Robin 2160 – a high performance dedicated training aircraft capable of aerobatic flight. Your choice of initial training aircraft is very important. Many aircraft used for training today do not have the capability to allow practice in using the full aerodynamic envelope, leaving a gap in knowledge and experience for new pilots. It is for this reason AAA use only fully aerobatic aircraft for our initial training courses. The Robin has a cruise speed of 120 kts (215 km/h), and climb rate of 1000 ft/min. Compare this to the Cessna 152 – a common “standard” trainer used by other flight training schools – which has a cruise speed of 95 kts (170 km/h) and a climb rate of 650 ft/min. This means more time is spent in the training area concentrating on learning the required skills, rather than the transit to and from the airport. Higher performance means more practice in take-offs and landings per session, which means more practice for every dollar spent! 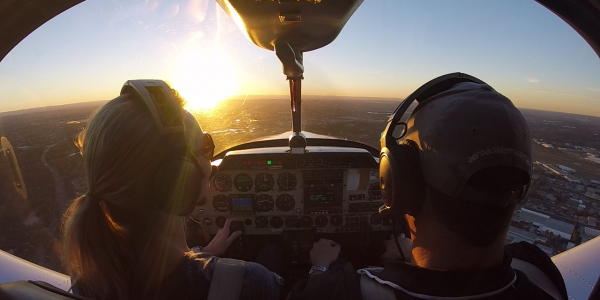 All Sydney flying school lessons include FREE in-flight video recording facilities. Important aspects of the flight can be immediately replayed on the ground as part of the debriefing, so you don’t miss out on the vital feedback you need to improve your skills! When making a decision on which school you choose to learn to fly with, consider this: Learning to fly is a considerable commitment in time, finances and personal effort, and one must be ultimately satisfied with the ability of the selected flight training organisation to provide the level of service & quality of the qualification they purport to provide. After all, what is your life, and the lives of your future passengers worth? Learn the art of aerial precision, freedom & control! Aerobatics is FUN! It is the only way to truly understand and enjoy the pure three dimensional freedom of controlled flight, and you don’t have to be the next “Top Gun” to do it! The ability to perform simple loops and rolls is a skill that provides a level of airborne confidence and exhilaration that continues to elude “mainstream” flight training today. The Academy’s Basic Aerobatic Course is the most comprehensive combined basic aerobatic, upset recovery and advanced flight handling skills course available in Australia. Conducted in the Robin 2160i, the course is designed to teach licensed pilots with no previous aerobatic experience the techniques, skills and knowledge required to conduct safe, proficient aerobatic flight manoeuvres. Not only will you learn how to perform individual manoeuvres, you will learn how to fly them in sequence as well as recognise and recover from mishandled manoeuvres in safety, and have fun doing so! The course also incorporates all components of the Academy’s Advanced Handling Skills course, designed to instill a positive, measured approach to aircraft control using the full aerodynamic envelope, as well as cope with emergency situations including upset recovery. Upon graduation, you will qualify for an aerobatic Flight Activity Endorsement, be able to take up passengers in the Robin, fly basic aerobatics and spins, and be confident in your ability to do so safely! Course content may be varied depending upon the candidate’s level of previous experience; however, competency in all syllabus items must be demonstrated prior to endorsement check. Already have some aerobatic experience? If you already have some experience in aerobatics, and you are looking to expand your skills, then please look at our advanced aerobatics courses. These “post-graduate” courses will give you the skills and knowledge to progress from a “basic aerobatic endorsement” to as far you want to take your aerobatic development – all the way to Unlimited world level competition if you so desire! 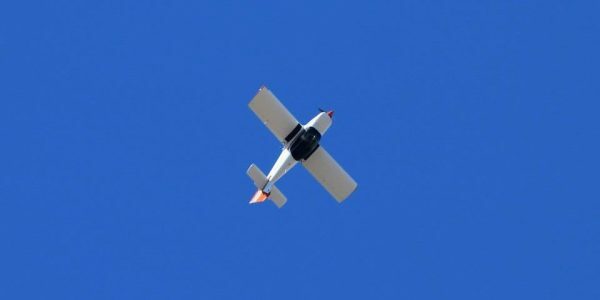 The Academy can also conduct aerobatics training for owners of aerobatic-capable Experimental category aircraft subject to assessment and suitability – please contact us to discuss your requirements. Need an Aeroplane Flight Review or thinking of converting your RA-Aus certificate to a CASA RPL? This course is a fantastic way to expand your skills and meet the relevant CASA requirements! Contact us for more details. It’s a big country out there…do you have the “right stuff” to navigate with confidence? AAA’s Private Pilot Licence (PPL) Navigation Course is designed to provide recreational pilots with the skills required to navigate anywhere in the world with confidence by day in fine weather conditions. Successful completion of the course recommends the student for the CASA Private Pilot Licence flight test. Whilst normally completed in the Robin 2160, the PPL navigation course can also be undertaken in our Rockwell Commander 112B so you can gain Retractable Undercarriage and Manual Propeller Pitch Control (CSU) Endorsements concurrently (additional charges apply). Time-poor? Complete your PPL training in just one week! Enquire about our “fly-away” PPL course (subject to aircraft and instructor availability). Don’t become just another aviation safety statistic! Learn the skills to SURVIVE! The second-highest primary cause of accidents in light aircraft is loss-of-control, according to continuing ATSB statistics. The primary cause remains “collision with terrain” – mostly as a result of losing control! The Academy’s AHS course is a defensive driving course for pilots. Commonly referred to as Emergency Manoeuvre Training (EMT) or Upset Prevention and Recovery Training (UPRT), the Australian Aerobatic Academy’s Advanced Handling Skills (AHS) Course consists of 5 lessons, designed to increase your flight safety by providing a greater awareness of aircraft capability and confidence in the ability to recognise, avoid and, if necessary, recover from unexpected adverse aircraft control events. The course concentrates on confident and accurate aircraft control, stall / spin awareness training, emergency recovery techniques, and exposure to common emergency scenarios, including spins, unusual attitudes and engine failure scenarios. Techniques and manoeuvres are learned in a controlled environment with strict performance parameters to maintain safety. Some aerobatic manoeuvres are used to demonstrate the full capability of an aircraft, as well as expose you to the likely adverse effects of incorrect or mishandled recovery techniques. This is backed up with comprehensive pre-flight briefings to gain a greater understanding of WHY and HOW pilots lose control. Due to the condensed nature of the course, the aerobatic manoeuvres and spinning conducted are not available for endorsement. However, credit will be given toward the successful completion of an AAA Basic Aerobatic Course (BAC) based on competency if desired. You don’t need to worry about how to fly a new aircraft type or learn local airport procedures! Our instructors will take care of that for you so you can concentrate on learning the techniques which may ultimately save your life! If you are an Experimental aircraft owner, you may complete the course in YOUR aircraft! (subject to assessment and suitability) Our instructors are experienced in many different types of light aircraft including the popular Vans RV series. If you choose to use your aircraft, please note that some aspects of the course can only be completed in an aircraft with aerobatic capability. However, our instructors are available upon completion of the course to show you how your newly-learned skills apply in your regular aircraft within it’s limitations. Why wait until it’s too late? 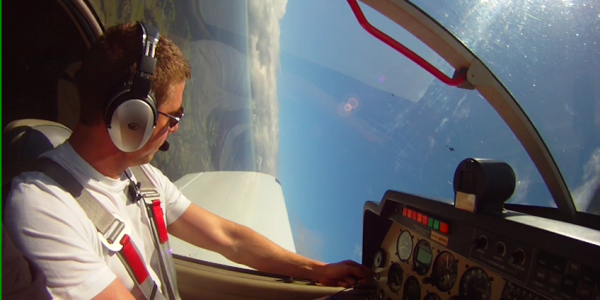 Learn the skills you need to fly with complete confidence TODAY! Giving new instructors the skills to teach with confidence. Unfortunately for most flight training organisations, finding a training aircraft with fully-developed spin recovery capability, as well as a qualified instructor experienced in such instruction, can be costly, time-consuming and not have the desired outcome! This can lead to a serious gap in confidence and awareness of stall / spin recovery for new instructors. The Academy’s Robin 2160i is the ideal spin training aircraft. With completely predictable spin characteristics, it is similar in performance to most trainee instructor’s initial training aircraft, such as the Piper PA28 series. This is a far cry from under-powered Cessna 152 Aerobats that take an eternity to climb to height (wasting time and money), and “fire-breathing monsters” like the Pitts Special, which tend to be more intimidating than helpful in providing positive learning outcomes with inexperienced pilots. Why waste time and money? Refer your instructor trainees to the aerobatic and spin recovery experts at the Australian Aerobatic Academy! We are the preferred supplier of flight instructor spin training to a number of organisations who conduct flight instructor rating training, and can tailor a course to suit your organisation’s requirements. Tour the great Australian land in safety, comfort and style! Tired of flying a 40 year-old “spam can?” Looking for a modern, high performance luxury touring aircraft? Look no further! AAA provides Cirrus Aircraft Transition and CAPS™ Training on a mint condition Cirrus SR20 GTS with Garmin Perspective avionics and autopilot systems, air conditioning and of course, Cirrus Aircraft’s patented CAPS ballistic parachute system – guaranteed to save lives when deployed within operating parameters. Traffic & Terrain Awareness and Warning Systems. Transition training is competency-based and the aircraft is available for hire to holders of a PPL or higher upon completion of the course. I just wanted to drop you a note to say thanks for Saturday. It was the most enjoyable days flying I have ever had. Of course the weather helped, but meeting you both, having a chat – the quality of the instruction, the planes, the process of starting with you, the formation flying and of course flying upside down for the first time –it was an absolute stand out. Which is good for me….cause that was not my flying training experience to date. I have had a big smile on my face all weekend. I cannot wait to get back there, so thanks again! Have you ever seen an aerobatic display at an airshow and thought, “WOW! I wonder if I can do that? Have you always wanted to learn how to REALLY fly? Well now you can with our AAA UFLY! Aerobatics Experience! With no obligation to continue further training, you can experience the magic of pure three-dimensional aerobatic flight under the guidance and safety of one of our highly-trained and qualified instructors. After your orientation and safety briefing you will strap into the aircraft and taxi for takeoff. Shortly after take-off, your instructor will guide you through climbs, turns and dives on the way to the training area. Once you get to altitude, your instructor will then teach you how to LOOP and ROLL! No prior flying experience is required! You will learn everything on the day. On the way home, you will have the opportunity to see what the Robin 2160 aerobatic trainer is really capable of, with your instructor demonstrating the aerobatic capability of the aircraft with speeds up to 325km/h and G forces up to +6G’s! 45 minute flight (approx.) including dual instruction in loops and rolls. This experience is available 7 days a week (except some public holidays). In-flight HD video of the flight is available for separate purchase on the day of the flight. Looking for a wilder ride? Or have you had a taste of “hands-on” aerobatics and want more? Try your hand at flying the Pitts Special – the world’s most awarded aerobatic aircraft! Fly loops, rolls and more in the Academy’s Pitts Special S-2A biplane. Originally designed and built as a single seat aircraft, the Pitts Special has won more aerobatic competitions than any other aeroplane and YOU can fly this two-seat training version under the guidance and safety of one of our highly-trained and experienced competition aerobatics instructors. After a pre-flight safety briefing your instructor will perform the taxi and take-off. After take-off your instructor will hand over and you will fly the aircraft to the aerobatic area refreshing your level flight, turning, climbing and descending skills. Your instructor will then direct you through aileron rolls, loops and the “Cuban eight” before taking over and showing you the true aerobatic magic of the Pitts Special with spins, snap rolls, tail-slides and advanced aerobatic routines before returning for a landing. It’s an experience you won’t forget! 45 minute (approx.) aerobatic instructional flight. Participant weight limitation of 90 kg applies to this flight. Combine an instructional aerobatic flight with the best views of the “Harbour City” and what do you get? The AAA UFLY SCENIC Aerobatic Experience! 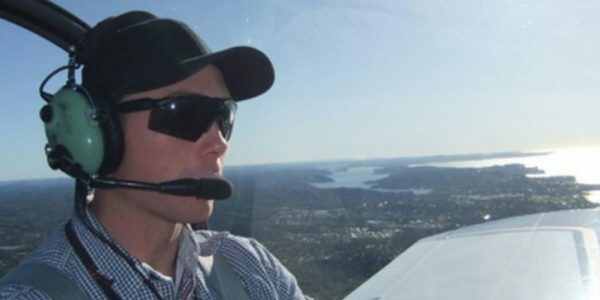 Experience the magic of pure three-dimensional aerobatic flight and the best views of Sydney under the guidance and safety of one of our highly-trained and qualified instructors. 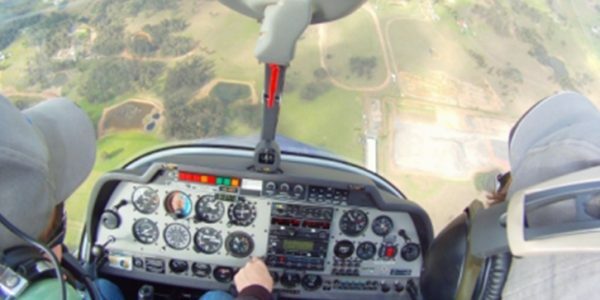 Taking off from Bankstown Airport and heading up over the northern suburbs of Sydney you learn to climb, turn and descend. When you reach Palm Beach you will learn how to LOOP & ROLL over the northern beaches of beautiful Sydney! No prior flying experience is required! Depending upon the weather conditions, you may be able to fly the aircraft all the way from take-off to landing. On the way home, you have the opportunity to see what the Robin 2160 aerobatic trainer is really capable of, with your instructor demonstrating the aerobatic capability of the Robin with speeds up to 325km/h and G forces up to +6G’s! 60 minute flight (approx.) including dual instruction in loops and rolls. 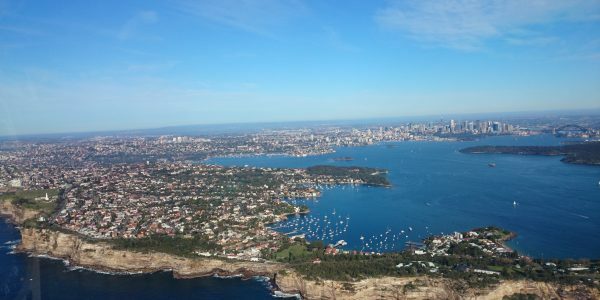 Tour Sydney by air in style! See the sights of Sydney Harbour and the northern beaches in air-conditioned comfort aboard our modern Cirrus aircraft. 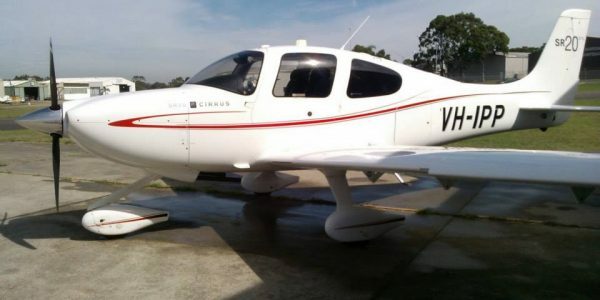 On your personalised tour of Sydney you will be feel absolutely safe in the comfort that our Cirrus aircraft is fitted with a patented ballistic parachute system, returning the aircraft and occupants safely to earth in the unlikely event of a problem in flight. 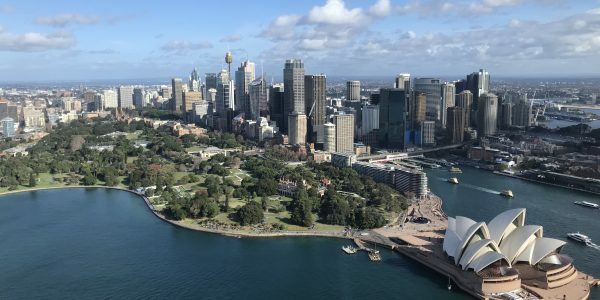 Choose our standard flight package or indulge yourself and choose our “twilight premium package” with remarkable views of Sydney at dusk and a few special surprises! A truly remarkable gift for the discerning couple or to celebrate that special occasion. Sydney Harbour Bridge, the Opera House and Manly beach. Maximum number of passengers is 3 – total passenger weight limit of 215 kg applies. Price is total experience price, not per person. Experience ALL the unique sights of Sydney from the air in style and air-conditioned comfort aboard our modern Cirrus aircraft. On your personalised tour of Sydney from the majestic Blue Mountains to Sydney Harbour and our beautiful beaches, you will be feel absolutely safe in the comfort that our Cirrus aircraft is fitted with a patented ballistic parachute system, returning the aircraft and occupants safely to earth in the unlikely event of a problem in flight. A truly remarkable gift for the discerning couple to celebrate that special occasion, or for visitors to see the remarkable sights of Sydney in one easy trip! Maximum number of passengers is 3 – total passenger weight limit of 200 kg applies. Listed price is total experience price, not per person!